Garlic. Cheddar. Biscuits. These three all are mouth watering words all on their own but mixed together they are a treat for your tastebuds! Get ready for your mouth to do a happy dance as soon as you bite into the soft biscuit bursting with flavor. 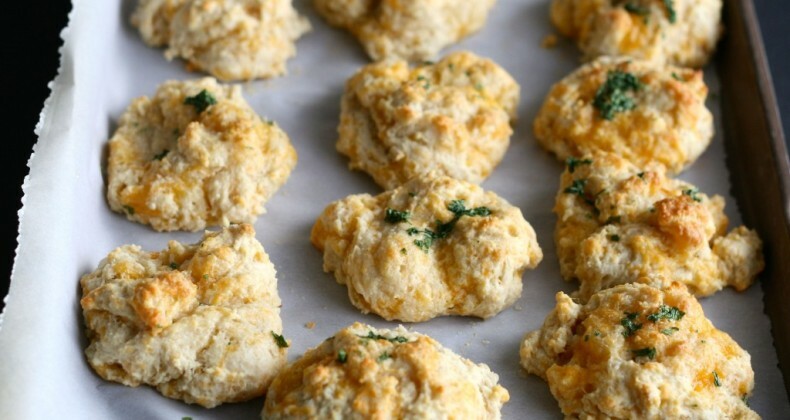 These biscuits are a knock off of Red Lobster’s Cheddar Bay Biscuits. Not a cheap knock off either. A better knock off because you get to control the amount of garlic. (YES!) And the amount of cheddar (DOUBLE YES!). Oh and you don’t have to wait for the waitress to bring you more. Just cozy up to entire sheet pan. (no judgement!). My recommendation would be to shred your own cheddar cheese. I think it melts better than the pre-shredded variety you get at the store. Everyone knows these biscuits pair well with seafood. I brought them to a dinner party where the main course was grilled pork tenderloin and the combination was perfect. Honestly I can’t think of a meal where you wouldn’t want to serve them. Imagine them split opened and topped with a runny egg for breakfast. YES! Any way you serve them they will be a hit! 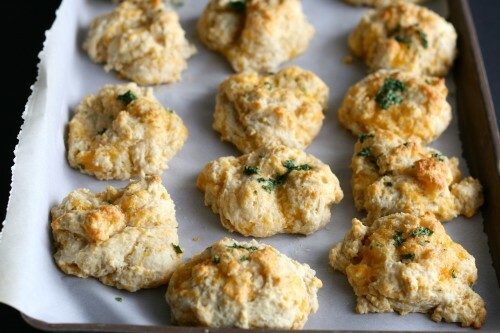 The cheddar biscuits are the best part of Red Lobster, so I am sure these are super duper delicious! Totally the best part but now the best part is I don’t even have to go to Red Lobster any more to get them! What a delicious flavor combination, my hubby would absolutely die for these!! Give me all the garlic! I hope you enjoy! One of my favorites. I used to work at Red Lobster and make these! Oh then you have the secrets!! I love biscuits! They are always such a good warm and inviting comfort food. I’ll definitely have to make this as a side for my dinner! I used to make these myself and they were even better than Red Lobster’s! Yummmmy! 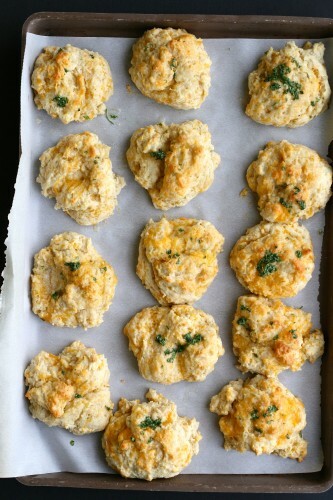 Oh my gosh my hubs loves the Red Lobster biscuits so I am definitely making these!! Two recipes for the price of one! Homemade fluffy tortillas work perfectly in this layered Mexican casserole. Refrigerated biscuit dough allows you to quickly make a small batch of doughnuts. A fun treat!